New wavelengths suitable for high resolution Raman spectroscopy! 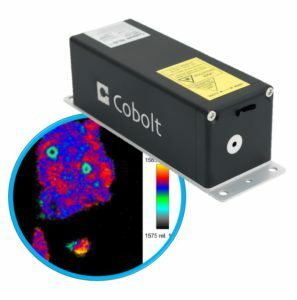 Cobolt 08-NLD 633 nm – Up to 30 mW. Cobolt 08-NLD 785 nm – Up to 120 mW. Thanks to rapid technology advancements in recent years, Raman Spectroscopy has become a routine, cost-efficient, and much appreciated analytical tool with applications in material science and in-line process control for pharmaceutical, food & beverage, chemical and agricultural industries. Improvements in laser technology, detectors (CCDs and InGaAs arrays), and spectral filters (VBG-based notch filters), along with developments of new schemes for signal generation and detection, have aided Raman instrument manufacturers in overcoming the challenge of weak signals which has accelerated instrument development and market growth. In the pharmaceutical industry for instance, Raman instrumentation is nowadays used across the whole value chain: High-resolution Raman microscopes, which are capable of imaging at single-biomolecule level, aid researchers in the development of new drugs. Hand-held Raman instruments are used at pharmaceutical companies to inspect the purity of incoming raw material used in drug manufacturing. Probe-based Raman systems are used to monitor the mixing of constituents in drug manufacturing. Raman microscopes are used to monitor the quality of compound distribution in produced medical pills and, finally, portable Raman instruments are used to detect and identify counterfeit drugs in the field. The laser is the principle source for creating the weak photon-phonon interactions that result in the Raman signal. The required wavelength, power and performance specifications are dependent on the material being investigated, the desired resolution and the ultimate purpose for the system. In all cases, laser reliability is paramount.